← Paper Wine Bottles – the shape of things to come? It’s easy to forget the sheer amount of paper mills there used to be all around us and their importance at the time. 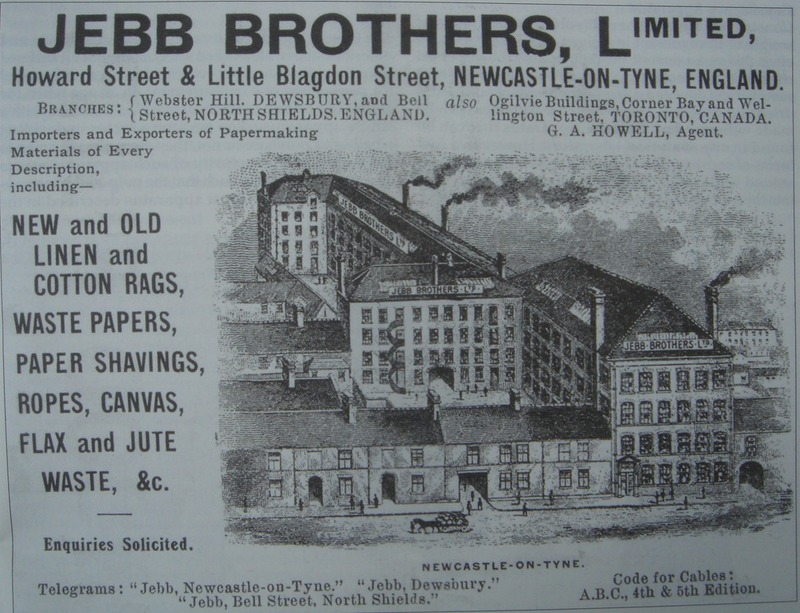 Jebb Brothers were begun in 1906 and had branches in Scotland that bought private waste paper from businesses with a promise of complete destruction. An early nod to recycling and shredding machines! The company only dissolved in 1999. There are very few paper mills in Britain today. One of the few remaining ones is Wookey Hole in Somerset who hold regular demonstrations.